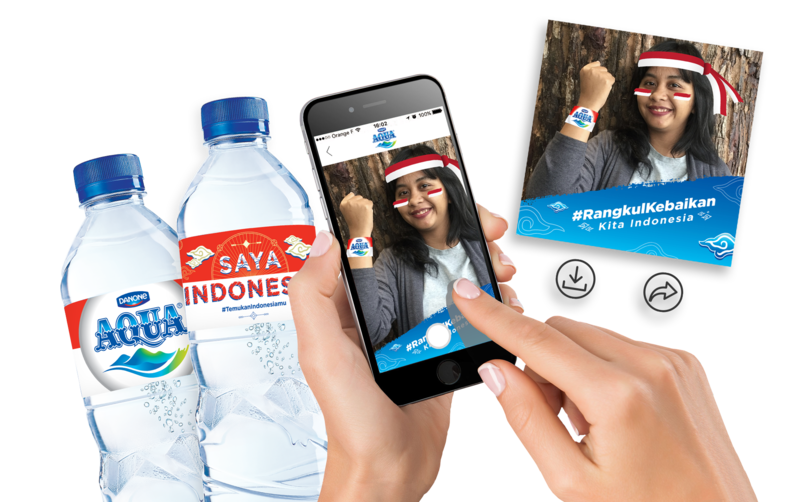 Danone Waters and MYPACK launch a new augmented reality experience for the local leading water brand AQUA triggered thanks to connected labels! 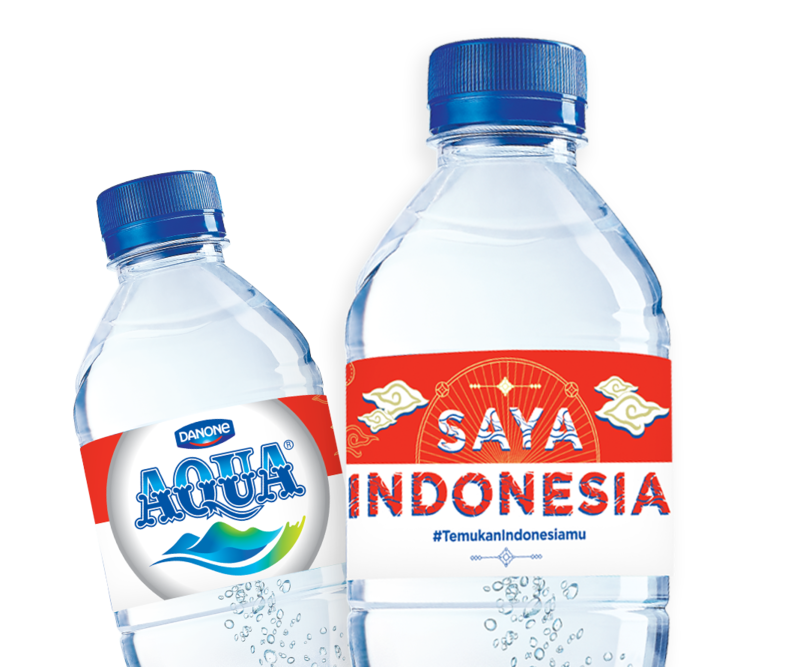 AQUA is the top of mind water brand in Indonesia, with about 10 billion litters produced yearly in 18 factories inside the country, and 2 million active Facebook fans. The brand is willing to be a game-changer for a better Indonesia, it describes itself as “responsible for environment and society”, and already launched several initiatives to promote healthy lifestyle like AQUA long-term plan to improve access to drinking water Dari Kita Untuk, or even Ramadan support campaigns like the repeated one #Aqua242, etc. 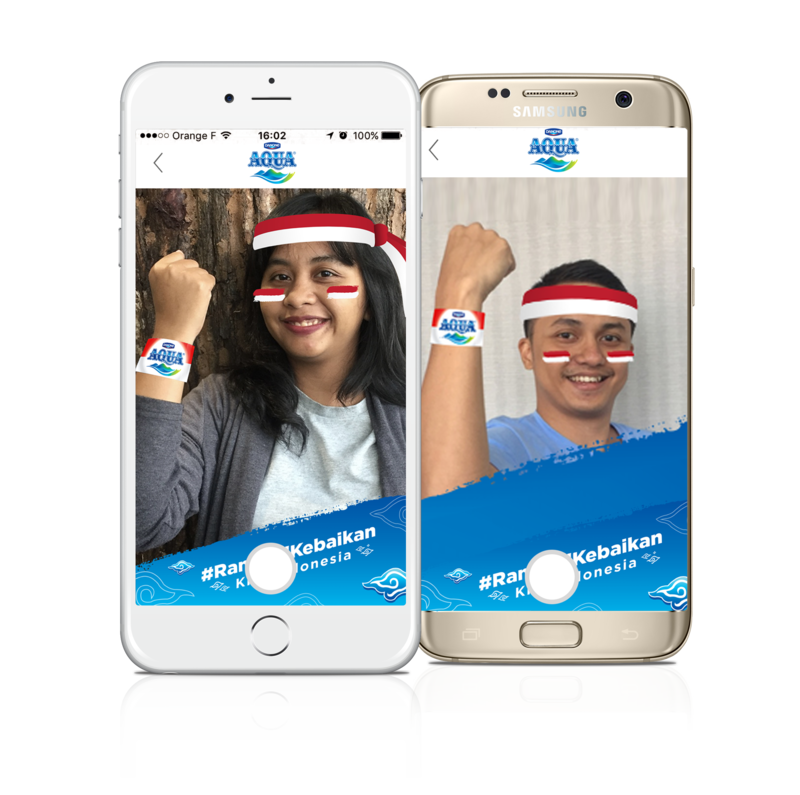 Danone Waters uses the packaging scanner MYPACK for its campaign SAYA INDONESIA with the help of the agency VML, at the occasion of the 72th Independence Day anniversary of the country. “Saya Indonesia – Saya Percaya Kebaikan Masih Ada” (or in English “I’m Indonesia – Goodness Still Exist”), consists in being pride of national core values, and when purchasing 2 bottles going per pairs with an exclusive bottle label, customers support education causes. Every 2 bottles purchased, customers are invited to be part of improvements in education through the Kitabisa fundraising platform, where they can vote for one project among the 5 suggested. MYPACK is glad to use its packaging recognition technology for this activation as AQUA campaign is a great illustration of creative customer experience. It is interesting to see how the brand uses its strong community to launch an imaginative campaign: Goodness is pushed forward inside the consumer journey, turning customers into active actors for social changes. The brand-consumers relationship in cleverly strengthened through an integrated marketing campaign, starting from the physical AQUA bottle and triggered through a creative call-to-action: connected labels. Sales boost: The brand uses emotional branding to trigger sales. Optimise customer experience: AQUA uses connected bottles as an interactive content sharing tool to provide customers with relevant information at the right. Innovative brand image: Danone Waters confirms its enthusiasm toward mobile-centric solutions to increase marketing performances. Social brand image: The group states its position as a guide for healthy lifestyle. Locally, AQUA maintains brand awareness opportunities knowing how social/participating communication strategy can significantly upgrade consumer perception and then, sales on medium-term basis. In other words, VML agency gathered all the ingredients to create a contagious experience to SAYA INDONESIA campaign.